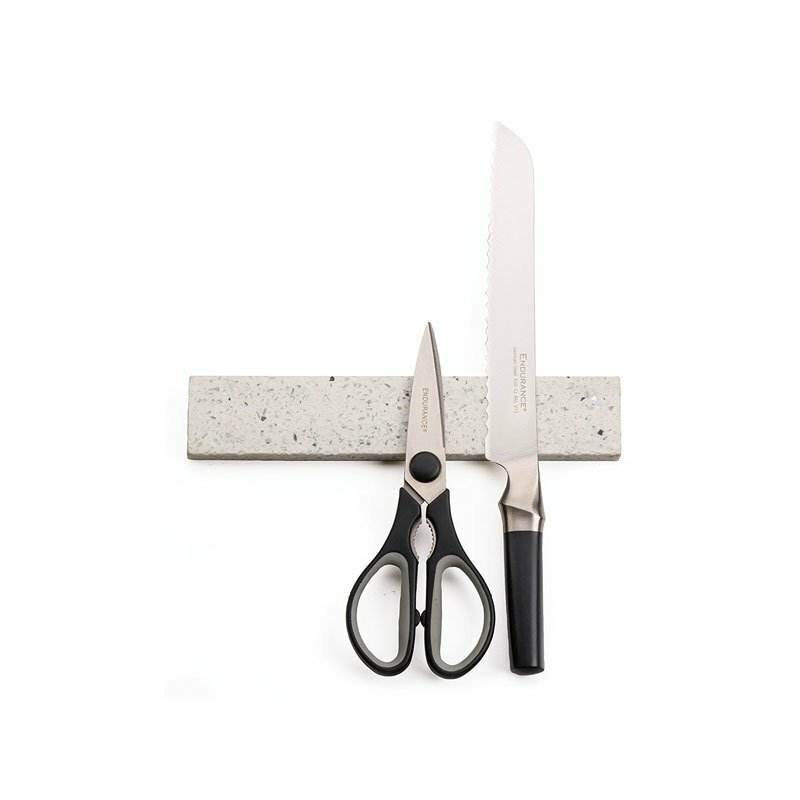 Conveniently store kitchen knives, scissors, and tools with this RSVP magnetic knife bar. Made from quartz stone, it has a white color. The strong embedded magnet holds tools securely. Mounting hardware is also included.